Larger scale oligonucleotide synthesis has been growing rapidly in demand for therapeutic and pre-clinical applications. 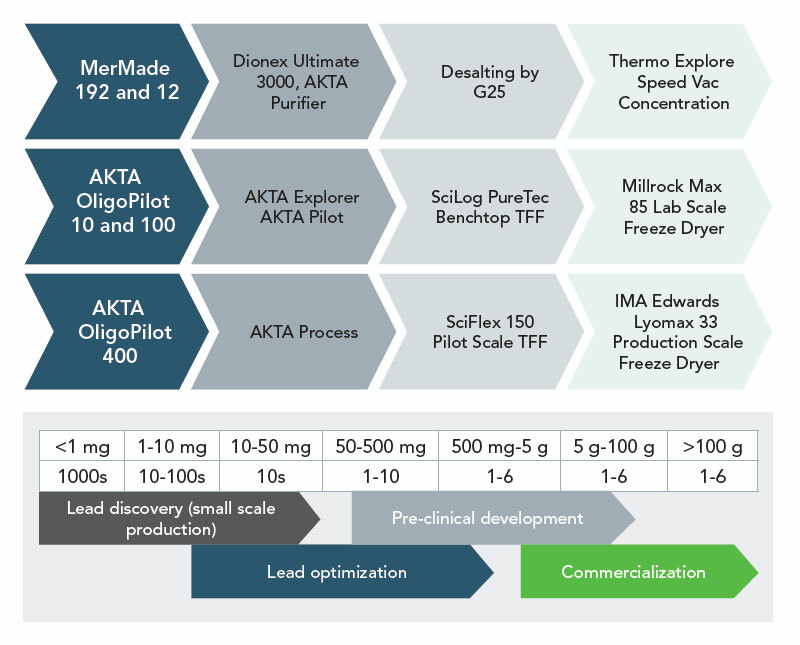 The surge in the need for the development of oligos as aptamers, antisense, and RNAi therapeutics, and the requirement for highly modified oligos falls into perfect harmony with LGC Biosearch Technologies’ manufacturing expertise. 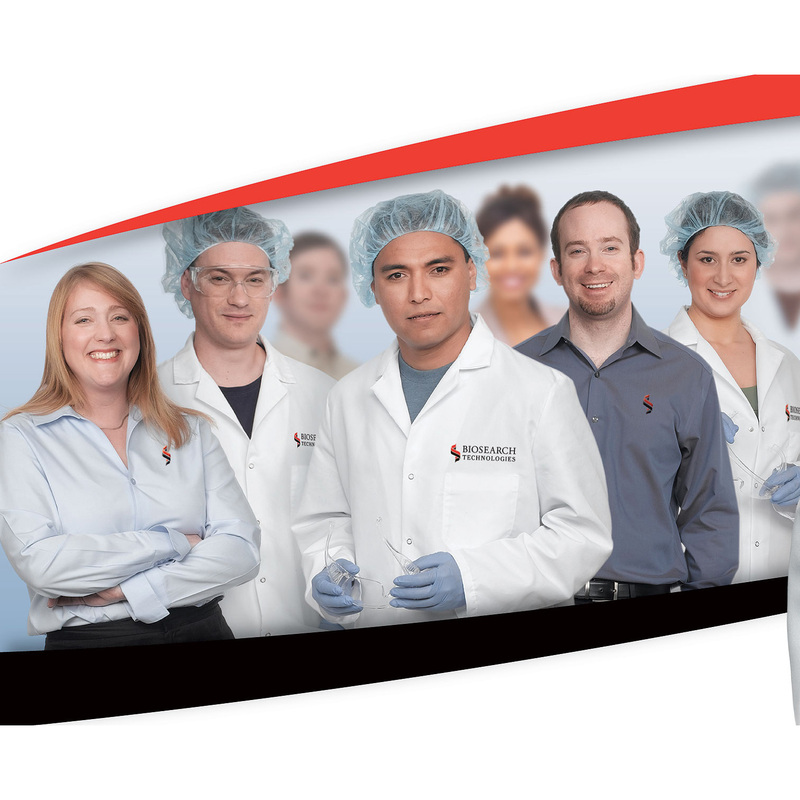 We have a highly trained and dedicated process development team comprising MS and PhD scientists who offer support from synthesis to method development and validation working in a cross-functional environment to better understand and serve customers’ needs. Our ‘Quality by Design’ approach offers the ability to optimize production from milligram to hundreds of grams according to your custom project requirements. 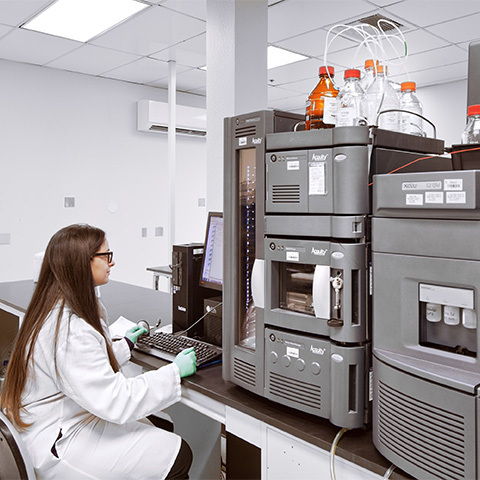 We are committed to delivering solutions for difficult problems in a timely fashion without compromising quality, price, reliability, and reproducibility. Over 250 oligo modifications including cholesterol, biotin, and fluorogenic dyes.